A thick, tomato based sauce with an authentic Morrocan flavour. Quick and easy, Chilli rating - medium - 2, suitable for vegetarians and vegans. 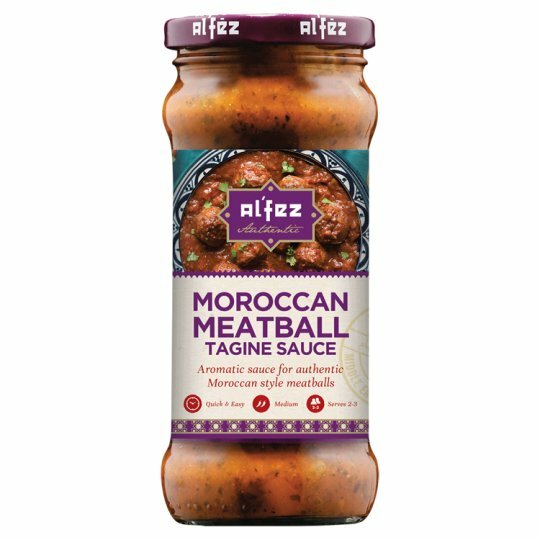 Gorgeously aromatic sauce for authentic Moroccan meatballs and more. 1 Brown 10 - 12 meatballs for 5 mins. Drain off excess oil. 2 Adds sauce. Reduce heat, cover and cook over a low heat for 15 - 20 minutes, stirring occasionally until cooked through. 3 Serve with couscous, rice, pasta or warm flatbread.